This region of Auriga contains many fascinating objects. 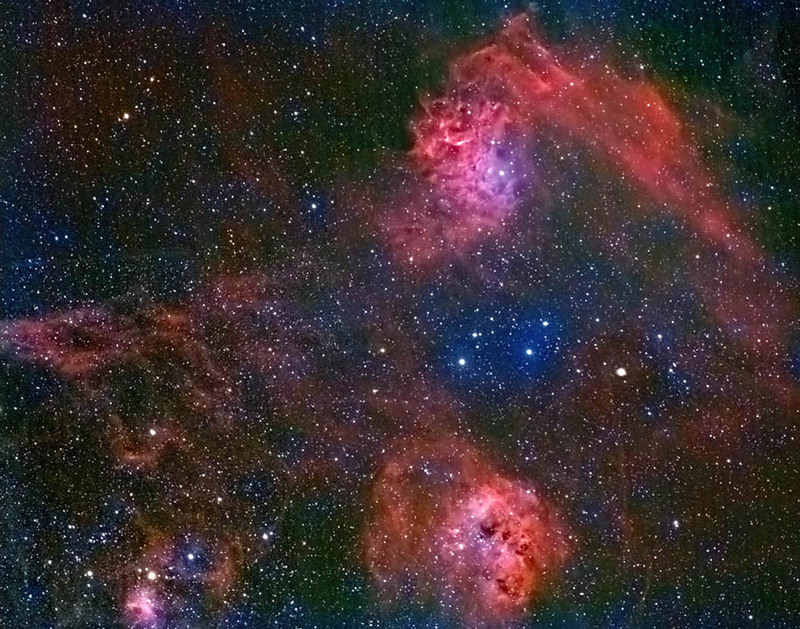 IC405 (the Flaming Star Nebula) is at the top; IC410 (containing the Tadpoles) is at the bottom. 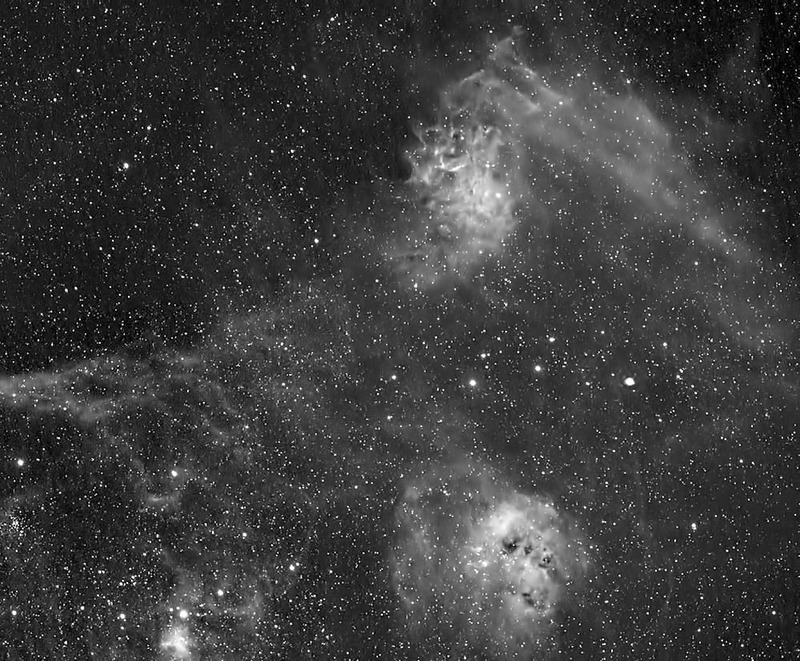 The small nebula at the bottom and left is IC417. North is toward the right. Ha: 5x10 min. (unbinned) for each of the four frames used in the mosaic. Film: 2 @ 60 min. and 1 @ 45 min. Images were aligned and median combined in RegiStar. Processing: CCD images were captured using CCDSoft v.5. They were reduced, histogram adjusted, aligned and median combined with AIP4WIN and CCDSoft. The four separate images were assembled into a mosaic in Photoshop 7 and adjusted (cropping, Curves). The film composite was aligned with the Ha mosaic in RegiStar and manually combined in Photoshop 7. I blurred the Ha/Film image and increased its color saturation before adding it again to the Ha mosaic (blending at 100% Luminosity). Finally, Grain Surgery was used to reduce noise. Location: My backyard in SE Minnesota. Click here to view the Ha image.